Today’s cloud ecosystems, together with advances in sensors and other technologies, make it possible to create IoT ecosystems that enable remarkable new interactions in products like health monitors, entertainment devices and home appliances. However, achieving ideal IoT platform connectivity that delivers optimal functionality and benefits poses challenges at different technical levels. Solving these is the specialty of our architecting in digital IoT ecosystems service. Can data processing best take place in the product, the app, the cloud, a gateway – or a combination of these? What kind – or what mix – of technology, such as Wi-Fi, BLE, ZigBee, 4G or Lora, should I use to ensure robust and reliable wireless operation and sufficient data capacity? How can I be certain my product will comply with regulations in, for instance, the health domain or foreign telecom markets? 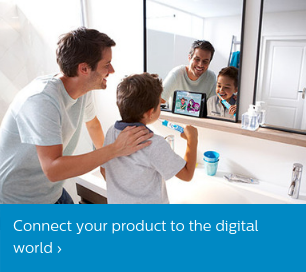 Our IoT ecosystem experts are well aware of the many different ways there are to make digital connections. They balance all the available options to ensure you do so in a way that optimally meets your needs. Outstanding architecture saves you time and resources later, ensuring first-time-right products and a system that will be scalable over time. Defining exactly how the product should behave and operate in the IoT ecosystem, based on desired functional operation, your wishes, user insights and application domain characteristics. Our strong background in domains such as health, lighting and automotive gives us a distinct advantage in adapting products to these user environments. As a global company, we are also well aware of international differences in technical infrastructure and compliance requirements, which must be taken into consideration very early on. The goal is to make optimal architectural and technological choices to deliver the connectivity, operation time, infrastructure compliance and scalability that you want your product to have in a cloud ecosystem. Architectural design – where in the IoT ecosystem or cloud ecosystem? Which functions you can best use to connect your product, and where in the app, product or cloud ecosystem they should be located. The requirements for the different functions and their interfaces, and our initial technology recommendations. An outline of how the architecture could support additional functionality, providing a roadmap for enhancing or expanding your IoT ecosystem in the future. When considering architectural IoT platform options, simulation or testing can sometimes be very valuable in ensuring you make sound decisions. For example, to confirm that a wireless technology will indeed perform as it should in an RF-hostile environment. We can quickly coordinate this in-house, and apply test results immediately in design adaptation and justification. We take an agile approach in which we address a specific functional feature or subsystem in cycles up to the point where it works, or has the desired detail. In subsequent work cycles, we address the next functional feature, and then the next, etc. In each cycle, we follow the traditional verification and validation model in which features are tested in parallel with their design. The advantage in this approach is continuous focus on the architectural elements that deliver the most value to you, accompanied by continuous quality assurance. Do you have a question about designing a product or architecture for an IoT ecosystem, or need support in doing so? Contact one of our IoT platform architecture experts to find out what we can do for you. If you need advice or support regarding cloud technology itself or applications running on a cloud server (e.g. big data applications), we can bring you in contact with leading specialists in this field. Thriving innovation? But what do you do about your own innovation culture? 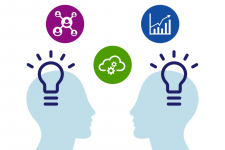 5 actions to create a culture for winning value propositions and business models. 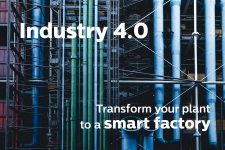 Start preparing for tomorrow today and transform your plant to a smart factory. This process easily takes 5 to 10 years, pave the way with an industry 4.0 roadmap. 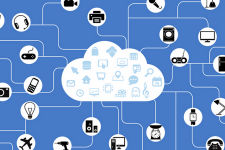 The Internet of Things is growing rapidly. IoT disrupts current business models, enables companies to pursue new opportunities and to play a different role. 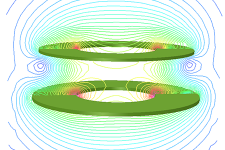 At Philips Innovation Services, we aim to take wireless power transfer techniques as far as it can be imagined. We are happy to share some examples with you.